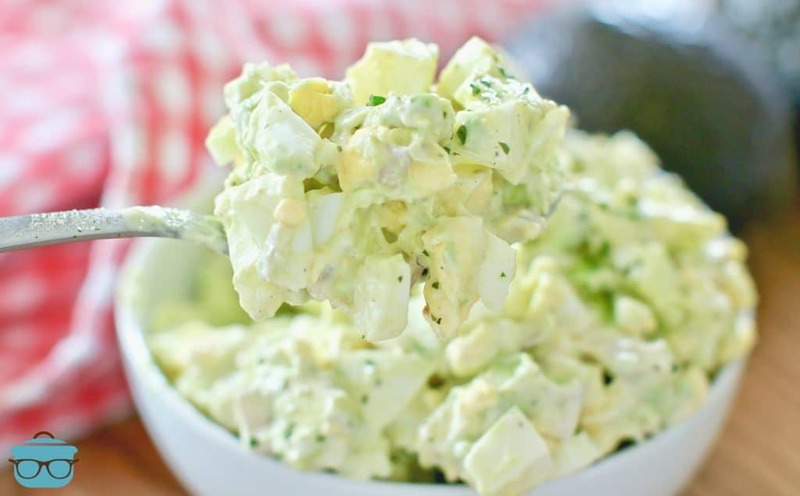 Ranch Avocado Egg Salad recipe is made with avocados, hardboiled eggs, shallot, ranch seasoning, mayonnaise. Low carb too! 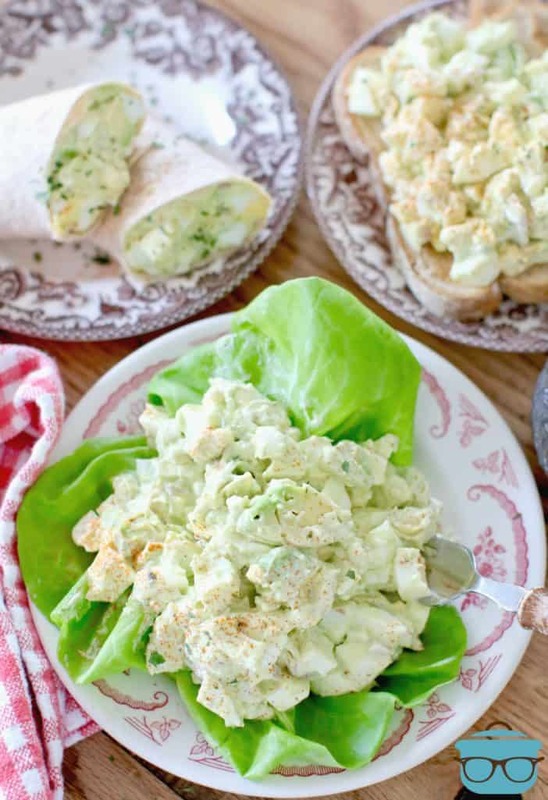 Serve as a wrap, in a sandwich, on toast or on lettuce! Honestly, it looks so ugly but the taste is AMAZING! I promise! 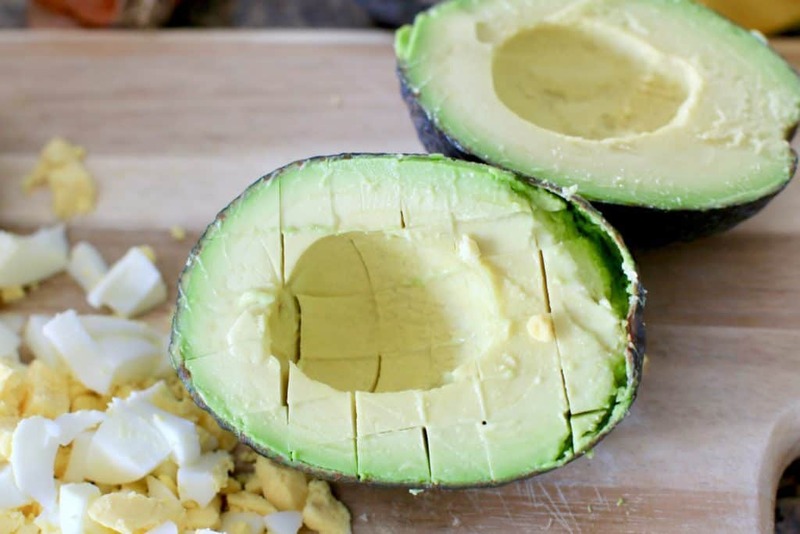 There are a few general tips when picking out avocados. 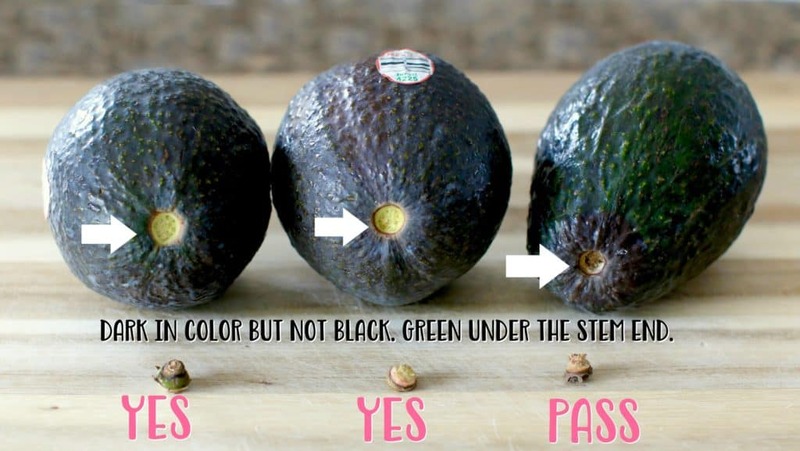 First, you want to look for darker colored avocados – not black. Black means it’s probably overripe. You also don’t want a lighter green avocado. That means it’s underripe. Also, try removing the stem end. If it’s hard to remove, it’s not ready yet. If it removes easily, and is green underneath, then it’s ready. If you remove the end and it’s brown or dark, it’s overripe and you’re probably gonna have brown spots inside. Below is the avocado that was dark in color (not black) with a stem end that was easily removed and was green underneath. This was the avocado that had started to turn black and had a dark brown stem end. Only the end of this had gone brown so I ended up cutting the brown out and using the rest. However, it’s a good rule of thumb to follow when shopping for avocados. 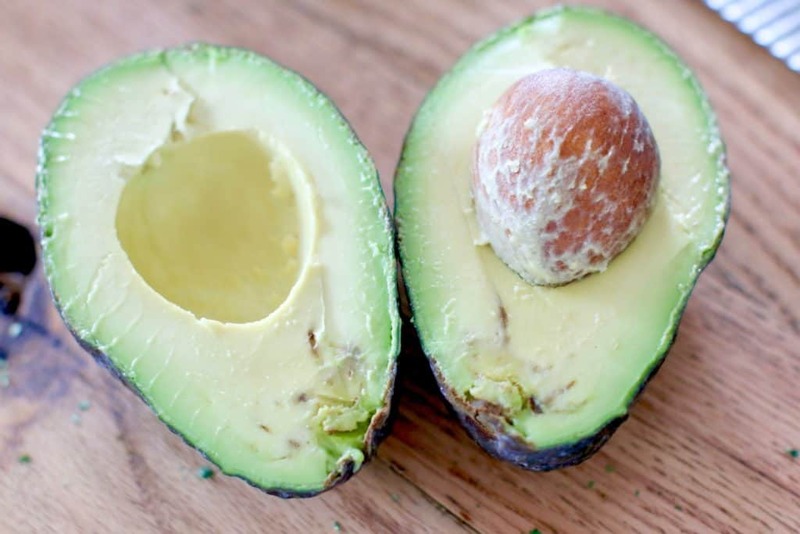 Avocados are full of delicious and healthy fats. Eggs are packed with protein! So this makes a perfect low carb lunch. Also, for a bit more color, protein and flavor, try adding some cooked and crumbled bacon to the mix. 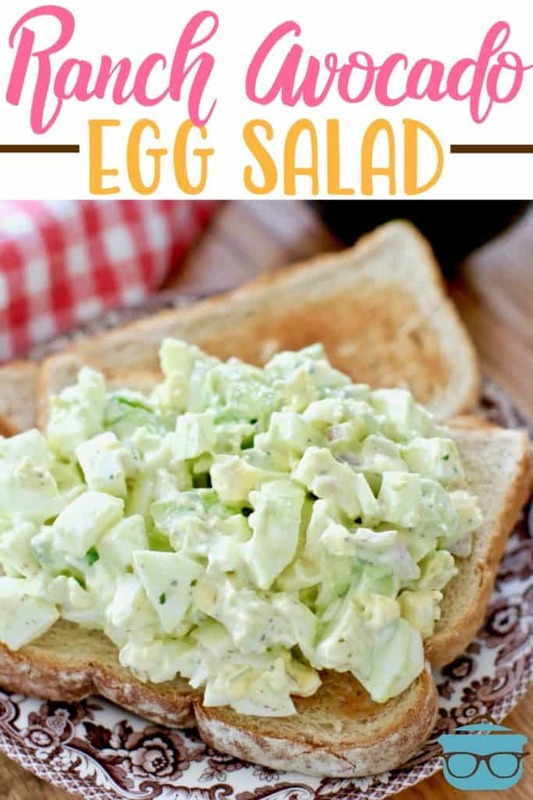 THE BEST AVOCADO EGG SALAD! I like to use shallots instead of onions because they are milder in flavor and have a slight taste of garlic too. In addition, the ranch seasoning really takes it over the top! I absolutely love Penzey’s Ranch Seasoning (not sponsored.) 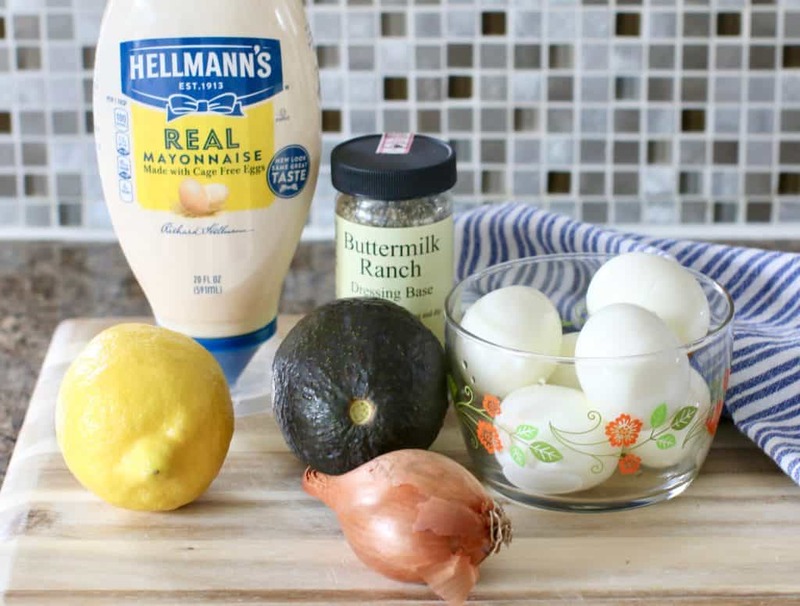 It is my favorite ranch seasoning when I am out of my HOMEMADE RANCH SEASONING! 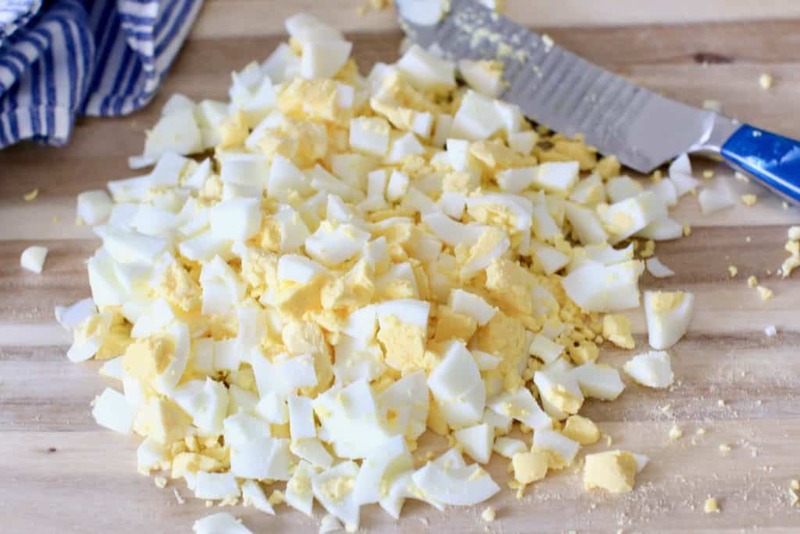 Chop the hard-boiled eggs. Set aside. Dice avocados and place in a medium-sized bowl. 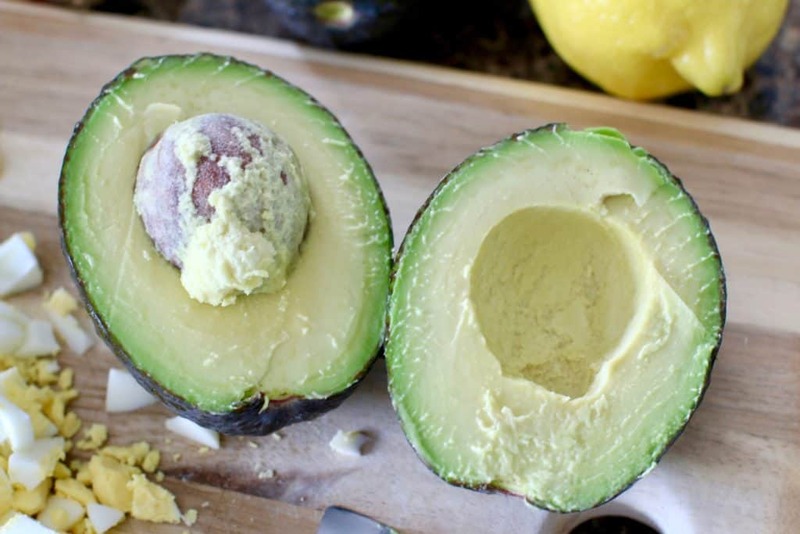 It’s easiest to cut the avocado while it is in the skin. Slice, then scoop out with a spoon. 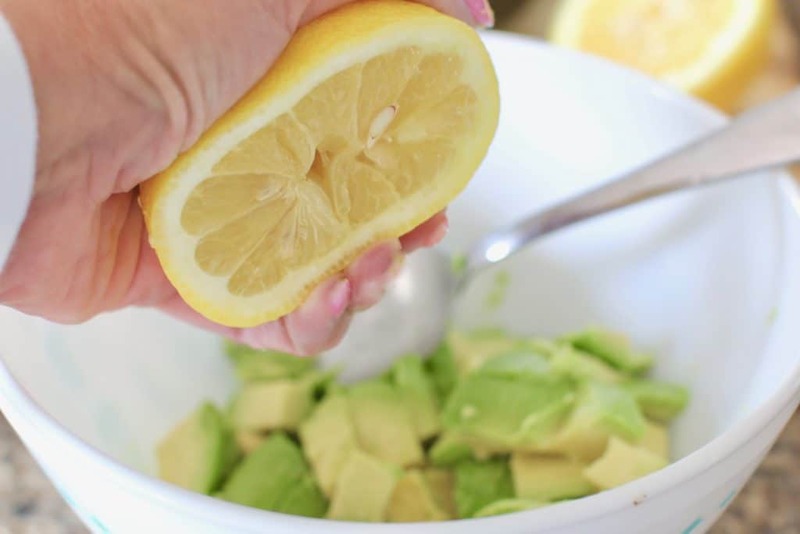 Squeeze fresh lemon juice on avocados (This will keep them from turning brown too quickly.) Then gently stir. 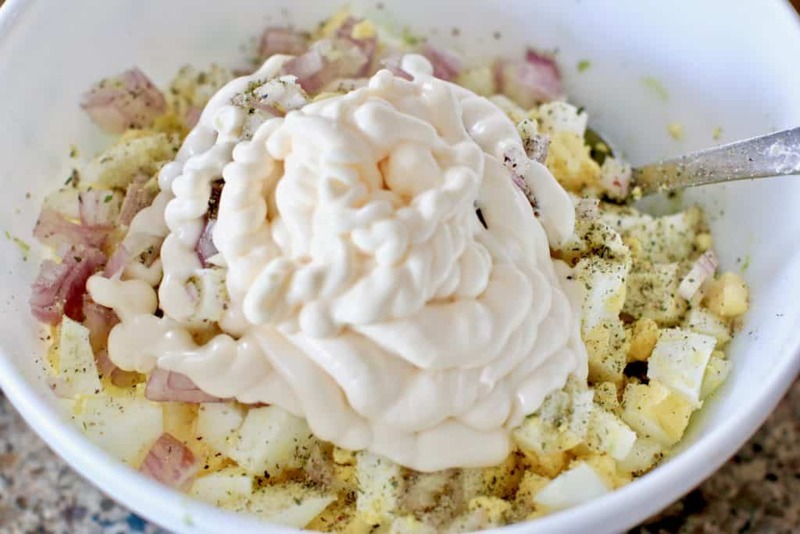 Add in chopped eggs, diced shallot, ranch seasoning and mayonnaise. Stir well. Taste for seasoning then add salt and pepper, to taste. 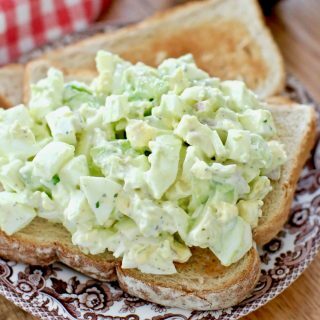 Serve in a sandwich, on toast, in a wrap or on lettuce. This isn’t the prettiest salad. So, if you want, you can sprinkle it with some paprika for a bit of color. But I promise, the taste is amazing! 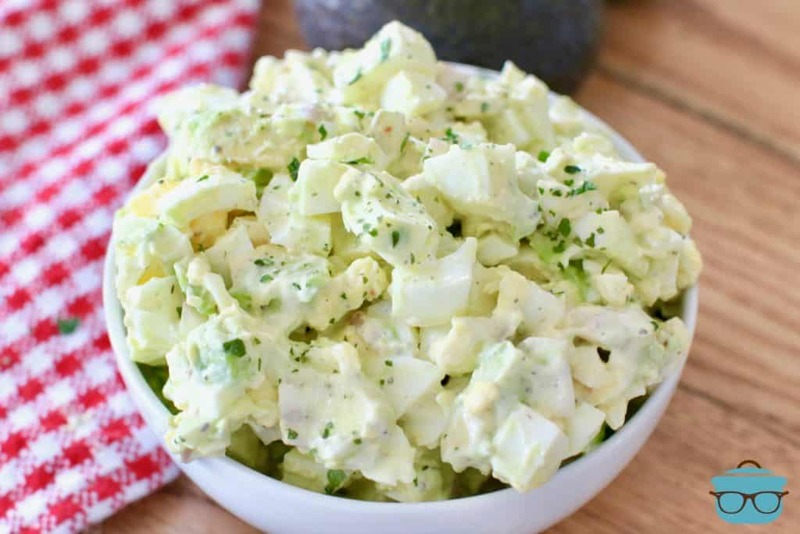 Ranch Avocado Egg Salad recipe is made with avocadoes, hardboiled eggs, shallot, ranch seasoning, mayonnaise. Low carb too! Serve as a wrap or sandwich! 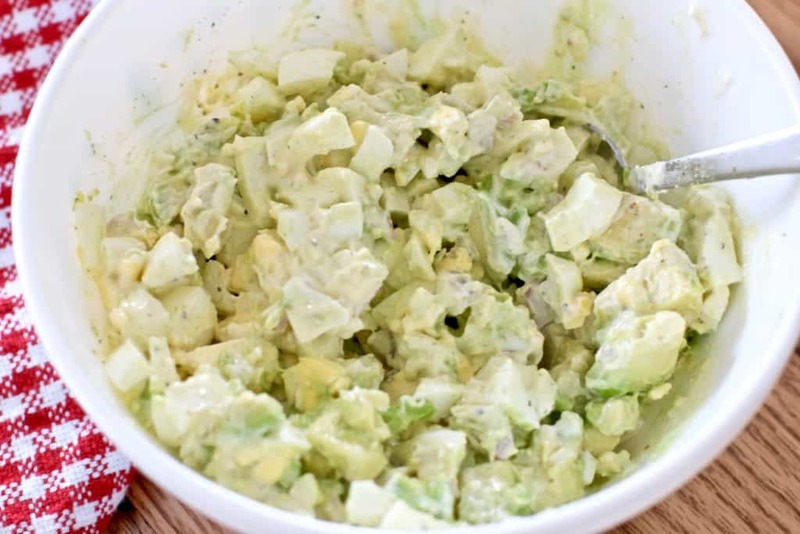 Dice avocados and place in a medium-sized bowl. Taste for seasoning then add salt and pepper. For an added crunch (or more protein) add in a couple pieces of cooked and crumbled bacon! CRAVING MORE RECIPES LIKE THIS? TRY THESE! PINNED…under 2 different boards! 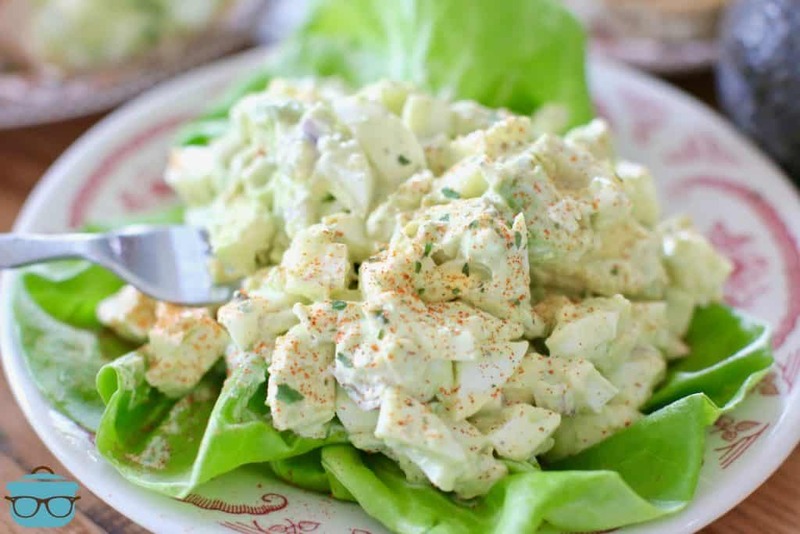 Two of my favorite things combined: egg salad & avocado, and I cannot wait to try this! Love your recipes Brandie!!! Thanks so much Kenya!! That is so great to hear!! sounds great, I will be making it over Easter, thanks for sharing. Hope you love it Marcy! Happy Easter! !